The character of Ravana has earned a permanent spot in the psyche of all Indians as the ten-headed antagonist of Lord Rama in Ramayana. Vicious and powerful, Ravana is infamous for the kidnapping of Lord Rama’s wife – Sita. This incident sparked off a massive war that finally ended with his death. However, the demon king Ravana has many facets to his character that paint him as a man of great wisdom and knowledge. 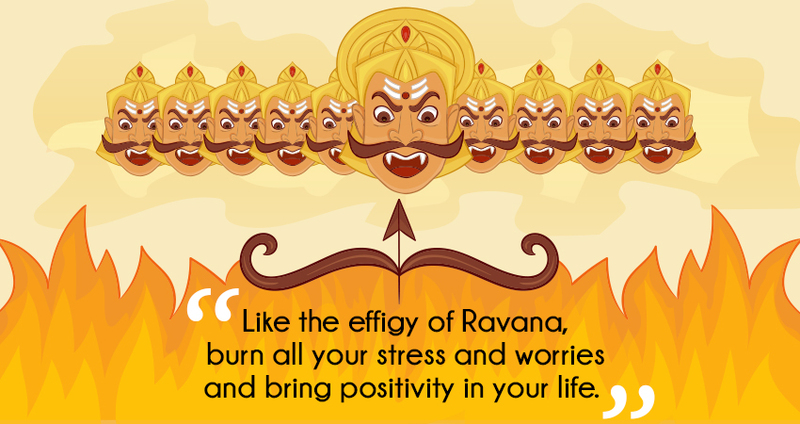 Here are eight character traits of Ravana that portray him in a positive light. AN ACCOMPLISHED SCHOLAR: Ravana is known to be the most brilliant demon who had thorough knowledge of of 4 Vedas and 6 Upanishads. The Scholar Ravana was a master of many sciences. He has written Ravana Samhita that talks about the science of Ayurveda. Ravana was also the greatest astrologer of his time and was aware of esoteric practices similar to black magic. Once he captured all the nine planets and vehemently made all of them to be in Lagna Bhava to make Meghanatha, the greatest of all. Ravana knew 64 different kinds of arts and was a master of Tantra Vidya. A DEVOUT DEVOTEE: Ravana is considered as the most revered devotee of Lord Shiva. He is said to have pleased Shiva with penance to an extent where Shiva handed over an Atma Linga as a boon to Ravana. According to some versions of the Ramayana, it is said that to please Shiva, Ravana hacked his own head into pieces, but his devotion made each piece spawn into another head. In another version, it is said that Ravana did not in fact have ten heads, but it appeared so because his mother gave him a necklace of nine pearls that caused an optical illusion for any observer. A TRUE – KNOWLEDGE GIVER: On his deathbed, Ravana taught Politics lessons to Lakshmana and shared experiences from his own life. He guided him to always have good relations with charioteer, cook, gatekeeper and his brothers, as they are the persons who can harm you most. He advised Lakshmana never to underestimate strength of his enemy, a mistake that he made. He also told him to always believe in astrology and movement of stars. He told him to trust a criticising minister, a mistake he made in case of his brother Vibhishana. A DISGUSED BLESSER: Being revered for his scholarly prowess, he was the most learned Pandit of his era. And hence, he performed the commencement rituals for Ram Setu build by Rama and his army of monkeys. If Srilankan texts are to be believed, Ravana also suggested auspicious time to Rama to begin the battle and blessed him Vijayi Bhava. A REVERED BRAHMIN: Ravana was born to great sage Vishrava and daitya princess Kaikesi which made him partly Brahmin and partly daitya. Inspite of he being a mix, Rama had praised Ravana as a “Mahabrahmin” and hence had to perform Ashwamedha Yagna. The great grandson of Lord Brahma – Ravana has been often depicted as a Brahmin who has attained the highest level of spirituality, not missing his daily prayers even once throughout his life. A PROFICIENT MUSICIAN: Ravana is also known for his musical abilities, as he was a proficient player of the Veena. In certain images and idols, Ravana is portrayed as playing a Veena. The invention of the bow of the violin is also attributed to him. He is also believed to have narrated very first Ragas. He designed his own string instrument called Ravana Veena and also composed Shiv Tandav. A FORMIDABLE WARRIOR: Ravana was well known as one of the distinguished fighter . He was fabled to possess the strength to move the seas and split the tops of mountains. He even fought the thunderbolt of Indra, the tusks of Indra’s elephant Airavata, and Vishnu’s chakra. The only mortals who could overpower him physically were Kartavirya Arjuna and Vanara Bali. A CURSED DEITY: Ravana and his brother Kumbhkaran were actually Jaya and Vijaya, the gatekeepers of Vishnu, which made them a little arrogant. So much so that once when the four Kumaras, mind-born sons of Brahma showed up at the gates of Vishnu’s abode, Jaya-Vijaya mistook them for naked children. This enraged the sages so much; they cursed Jaya-Vijaya saying that they would be parted from their lord. When they asked for forgiveness, the sages said that they could either spend seven lifetimes on earth as Vishnu’s avatars’ allies or three lifetimes as their enemies. They chose the latter. In one of those three lifetimes, Jaya-Vijaya were born as Ravana and Kumbhkaran.